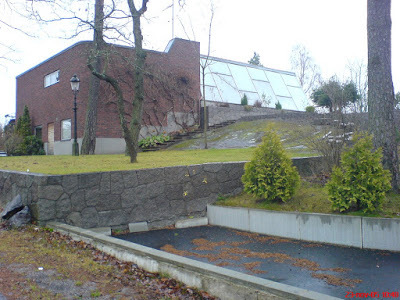 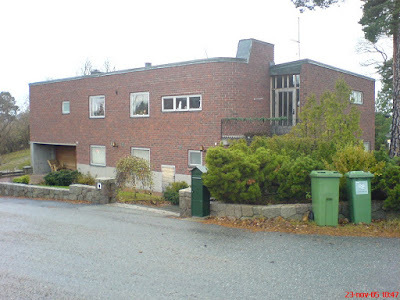 corner of klintvägen and nameless cul-de-sac, huddinge, sweden (stockholm metropolitan area). 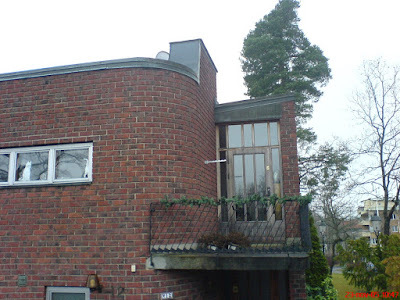 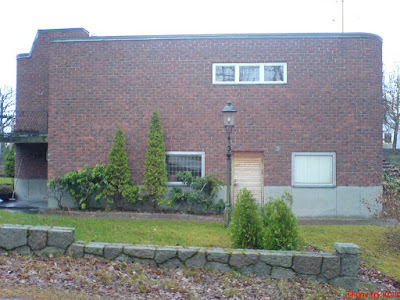 suburban red brick villa designed by architect gösta rönnbäck in 1962. winter garden addition, including indoor swimming pool, designed in 1968 by the same architect. 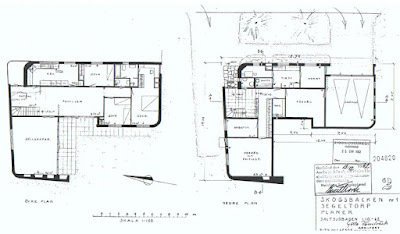 all floor plans from the public archives of the local planning department in huddinge, sweden. 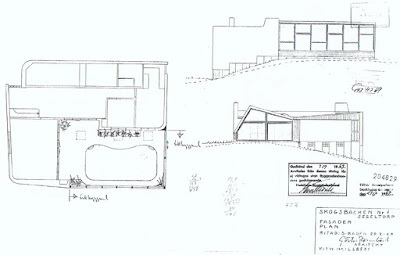 click on images for larger size floor plans.